A cross connection is an actual or potential connection between the public water supply and a source of contamination or pollution. A cross connection can occur at many points throughout the distribution system allowing the potential for many pollutants or contaminants to enter the safe drinking water system. A cross connection can be identified by looking for a physical interconnection between a customer’s plumbing and the water system. Water normally flows in one direction. 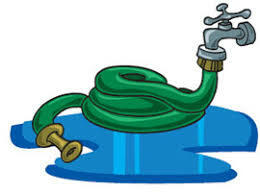 However, under certain conditions, water can actually flow backwards; this is known as backflow. There are two situations that can cause water to flow backward: backsiphonage and back pressure. Backsiphonage may occur due to a loss of pressure in the municipal water system. This may occur during a water main break and it creates a siphon in your plumbing system which can draw water out of a sink or bucket and back into your water system or the public water system. Backpressure may be created when a course of pressure creates a pressure greater than the pressure supplied from the public water system. This may cause contaminated water to be pushed into your plumbing system through an unprotected cross connection. To avoid contamination, backflow preventers are required by state plumbing codes wherever there is an actual or potential hazard for a cross connection. All backflow devices are tested and inspected annually. How can you avoid a cross connection? Connect waste pipes from water softeners or other treatment systems directly to the sewer or submerged drain pipe. The purpose of Monroe’s cross connection program, as required by state law, is to ensure that everyone in the community has safe, clean drinking water.